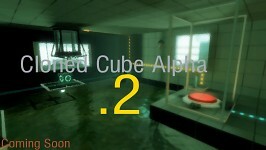 Update: Cloned Cube Alpha .2 is available for download now! 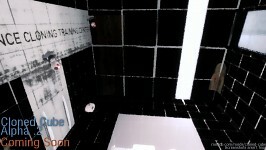 Download on ModDB or through Dropbox. Hey everyone, it's been kind of quiet here so I'd like to report on some news about the mod. Remember that Music Contest I did a while back? Well, it turns out I had a lot of applicants. There was lots and lots of talented people with fancy degrees and experience. Really, the turnout was incredible. At the end of the day, I chose a guy named Hyphellux. I really enjoyed his music and now he is actively composing new tracks for Cloned Cube. We have 3 so far! The songs are free to download and share as long as you give proper credit. So, they are ingame and sound great! 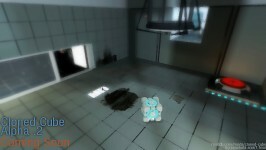 I know that I have been very Valve-y with unfulfilled release dates such as the laughably ridiculous original finish time I put as Winter 2011 to my constant posts on my Tumblr about the mod coming out this week, maybe next week, O.K. I better delete that post before anyone gets their hopes up! 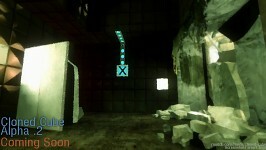 Well, I can confidently say that cc_1 is very much finished and will be released now. 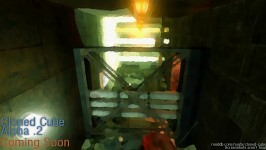 I know it sounds really stupid to just have cc_1 but here is some bigger news, I'm scrapping cc_2. Eventually I realized what a ridiculous mess that map was and am going to rebuild it to be more portal-y and more puzzling. 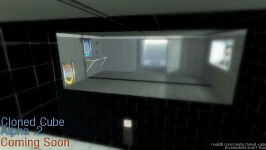 Also in the next update includes the Aperture Science Cloning Training Center which teaches new players the basics and stops Cloned Cube from turning into Portal where half the game is teaching the player the mechanics. 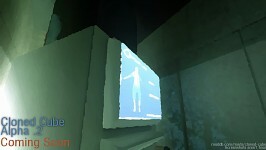 This Summer is the Summer of Cloned Cube and I'm at the helm! 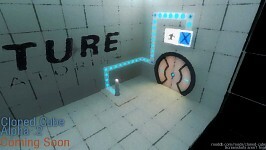 Also check out my Portal 2 Puzzle Editor Maps! Don't worry, it looks normal in-game. then why would you do this on screenshots ? To make them look cooler I guess? Sorry to burst your bubble but it really doesn't look cool. I love the music. So cool! I might have to throw a video of my thoughts on this on youtube! I seem to get broken files on the ModDB release. The dropbox release extracts fine for me though.